Launched at the Cannes Yachting Festival, SEVENTY 8 is already enjoying her first ocean adventure. The catamaran, with a crew of experienced skippers, is on passage to Las Palmas from where she will begin her first ever transatlantic voyage, to the United States. SEVENTY 8 will be exhibited at the Fort Lauderdale International Boat Show in November. 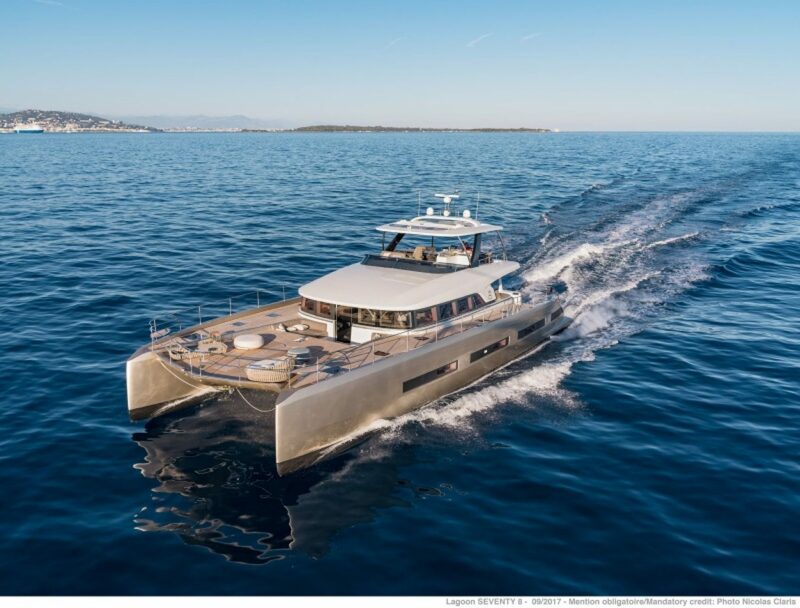 We invite you to follow this experience on our Facebook page, where you will find photos and news about this innovative power catamaran demonstrating her impressive autonomy. For more information on the SEVENTY 8. THE SEVENTY 8 WINS FIRST PRIZE!